Often we are told about how we need to know the 4 C’s when we are looking at fine jewelry, but generally, we really don’t know much about them. Here is your guide to the 4 C’s. The size of the stone. This is probably one of the 4 C’s that you’re most familiar with. Don’t get stuck on this alone though, there’s so much more to consider for your most special jewelry designs. Let’s pick the size of stone that is right for you. At JD Jewelers, you can compare stones side by side to see which size works best for your piece..
Color isn’t something you always think of when talking about white diamonds, but diamonds naturally have a yellow or brown tint to them. We usually want that pure white, clear diamond. While there are differences, it can be difficult to know just what to choose. 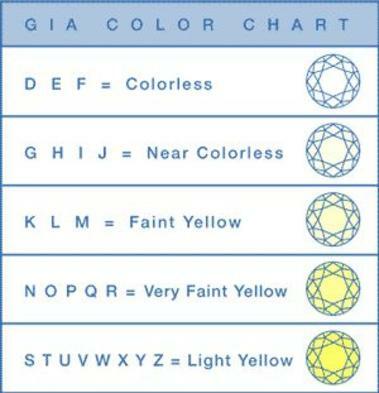 Let us show you how to navigate this tricky “C” and get the right color for your new diamond. 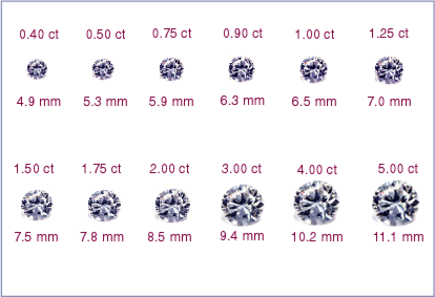 Flaws and imperfections are very common in most diamonds. 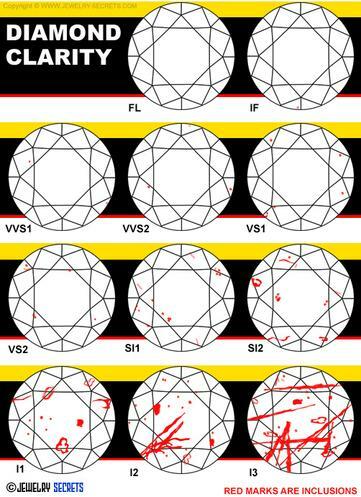 The location, size, and prevalence of these imperfections can affect many aspects of your stone. 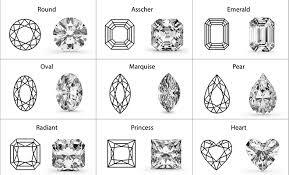 Let our experts sift through the many options to find the diamond that has these in all the right places. Or, let us find that diamond in the rough that has no inclusions at all! This includes the shape of the stone, but also the way in which that shape of stone has been cut. The way a stone is cut is a category all its own. While you may know what shape of stone you want, we can help you navigate the quality of the cut. How well a diamond is cut really is the most important “C”. Let our gemologist explain to you why.